Learning how to get full edges in sports betting takes a real whiz. That comes with experience. Over time, you will develop instincts and techniques that will help you cover more wagers than the average bettor. In the meanwhile, there are some rather easy things you can do to improve your bottom line. And you don’t have to be Jimmy the Greek to do it, either. These are easy things we should all be doing. First and foremost is securing the most bang for your wagering buck. Not all books are the same. The competition among the books is heated. A byproduct of that is added perks for the potential bettor. The industry standard for bets against the spread is -110. A little due diligence on the part of the bettor, however, can yield a much better quote. Try to get ATS bets on a -105 line, if you can. A GOOD sportsbook offering this feature is 5Dimes. They also offer reduced odds baseball betting. Think about all the money you are saving by finding a -105 line. Vig, also known as juice, can bury us and if we can cut the vig in half from the widely-used industry standard, we are doing ourselves a tremendous service. We have to fight tooth-and-nail for every edge we can get in sports-betting. Here, we have an edge just being served up for us to eat. If a shutdown cornerback is out of the game, we would acknowledge it, right? Of course, because it bolsters our chances to win when we take note of big things like that. Not getting the best price on your bets is tantamount in terms of your bottom line to lazily handicapping a game. Take a football bettor who averages five straight bets a week, where he tries to win $100. Instead of betting $110 on each game, he’s betting $105 instead. Every 4 weeks, he’s saving a whole bet! Being that the difference between a winning and losing bettor is so slight, that’s a huge edge. Even though you would get the vig back on winning wagers, a guy betting -105 is putting out less money and over the long-haul--that adds up. There is an understandable trepidation on the part of some bettors to get involved with a bunch of different books. At the same time, there are more than enough long-standing reputable books that you can depend on and you should have options when you bet. Obviously not all books offer the same price on various propositions. Having accounts at several different books arms you with the power to shop the best line. 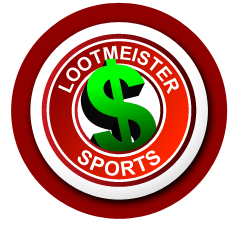 If you are a player who likes to take advantage of free bonus money at multiple sportsbooks, you can also accept a bonus on each of these betting sites. This next suggestion will develop more with experience, but develop a knack for line movement and negotiating your way around key numbers. It will take on different forms in various sports. With baseball, boxing, and MMA, we are dealing with the money line, so there is no key number per se. But in football and basketball, we are working with point-spreads. Along the entire spectrum of point-spreads, there are hot-spots. In the NFL, the difference between 8 and 9, for example is not as big as the difference between 6 and 7. It’s only one point in either case, but that point means more in the 6-7 range, being that more games are decided by that number of points. In football betting, those numbers are a major consideration. If you are taking an underdog at +2.5, it’s not the same as having a team at, say, +12.5. The difference between 12 and 13 isn’t something you want to blow off entirely, but the difference in the two numbers is by no means as significant as the difference between +2 and 3. The 3-point difference is the most common margin of victory in football, so dance to a different tune when hovering around those key numbers. Some of these suggestions might seem like small-time. And maybe they are, but remember the difference between winners and losers in this game is in fact small. It comes down to little things. Those little things that lie in the actual handicapping of a game are going to be more difficult to develop. This is easy. These are edges you can gain with little thought involved. It’s all about having no leaks in our game and a big part of that comes down to these rather mindless elements that don’t always get their proper respect. A lot of otherwise sound bettors leave a lot on the table by failing to realize the long-lasting impact of doing all the little things.